Marco Rubio returns to his hometown elementary school, Ronnow Elementary School, Las Vegas, Nevada and gives a great speech in 100 degree plus heat (they did not turn the air conditioning on!). The following two videos were via Right Face cell phone camera so not great sound but worth listening to. Rubio rallied hundreds of supporters of GOP presidential candidate Mitt Romney. Right Face said: "Right Rubio sounds and acts more like Ronald Reagan than anyone else in recent memory." Rubio said voters face a choice between Romney, a businessman who "believes in free enterprise," and Obama, who he said imposes too many government rules and regulations and wants to move the U.S. backward "into the dark days of human history" when people didn't have choice and opportunity. . . . Under Obama, Rubio said, taxes are too high and businesses don't know whether more levies are coming or more laws such as the health insurance mandate will be pushed through. He argued that every dollar that goes to the government as it expands is one less dollar to spend on job-creating private enterprises. "Obama wants to fund a big government experiment," Rubio said "That's hurting you." Tags: Las Vegas, Nevada, Elementary school , Rally for Romney, Marco Rubio, video To share or post to your site, click on "Post Link". Please mention / link to America's Best Choice. Thanks! Posted by Bill Smith : Post Link --> 9:34 AM 0 Comments - Share Yours! United States Chamber of Commerce: Florida can't afford Bill Nelson in Washington. He was a deciding vote on ObamaCare. And has supported the Obama administrations reckless taxes and regulatory agenda that is hurting Florida's businesses. Tags: Florida, US Senate, 2012 election, the economy, jobs, Bill Nelson, deciding vote on ObamaCare To share or post to your site, click on "Post Link". Please mention / link to America's Best Choice. Thanks! Washington Could Learn A Lot: If you keep on digging, you'll put yourself deeper and deeper in the hole. The bureaucrats and politicians in Washington, D.C. have put this country in a $15,874,876,409,526.41 hole (U.S. national debt ending on July 20, 2012). Maybe its time we stop digging! WashingtonCouldLearnALot.com is a project of Public Notice Research and Education Fund (PNREF). PNREF is an independent non-profit dedicated to educating the American people about economic policy and the principles of economic freedom. PNREF believes an empowered American public will cause lawmakers to be better stewards of the nation’s economy, and of Americans’ economic freedom. If you agree, watch, comment and share this video! Tags: Debt, economy, jobs, Washington, bureaucrats, politics, fiscal policy, out of control spending, spending, election, congress, small business, business, Government Agencies, regulations, White House, United States Congress, killing job creators, digging a hole, Time To Stop Digging, Washington Could Learn A Lot As published by the ARRA News Service. To share or post to your site, click on "Post Link". Please mention / link to America's Best Choice. Thanks! Posted by Bill Smith : Post Link --> 1:04 PM 0 Comments - Share Yours! Robert Gay: My 14 year old daughter had disappeared in New York City for 3 days. No one could find her. My business partner, Mitt Romney, stepped forward to take charge. He closed the company and brought almost all our employees to New York. He said I don't care how long takes, we're going to find her. He set up a command center and searched through the night. The man who helped save my daughter was Mitt Romney. Mitt's done a lot of things that people say are nearly impossible. But, for me, the most important thing he's ever done is to help save my daughter. Background: On the night of July 6, 1996, 14-year-old Melissa Gay, daughter of Bain Capital executive Robert Gay, went missing after attending a late-night rave in New York City. Gay recruited his business partners, including Mitt Romney, and the Boston-based firm's 200 employees to help him conduct a city-wide search. "And so I said," Romney recalled when asked about the incident during a town hall meeting in March 2012, "‘Let’s close the firm, let’s close the company. Let’s all of us fly down to New York and try to find her.’ And so we closed the business, we went home and packed our things, we got a hotel near the airport where we all went to, we set up a headquarters, we met with the detectives with the New York City Police Department, we hired a private investigative firm to help guide us through this process." Gay, Romney, and team literally fanned out on the streets of Manhattan in suits and ties, distributing 300,000 fliers and asking passersby point-blank if they had seen the missing girl. Their efforts quickly paid off in the form of a phone call from a private residence in Montville, New Jersey, where it turned out Melissa was staying with acquaintances. She was retrieved by police and reunited with her parents in the early morning hours of July 12. "She's OK," Robert Gay said in a statement to the Associated Press. "How can you ask for anything more than that?" Robert Gay was a former Managing Director at Bain and is now General Authority for the Mormon Church in Salt Lake City. Tags: Robert Gay, saved, daughter, commercial, politics, Mitt Romney, restore our future, election 2012, character matters Originally posted at the ARRA News Service. Thanks! To share or post to your site, click on "Post Link". Please mention / link to America's Best Choice. Thanks! Posted by Bill Smith : Post Link --> 5:30 PM 0 Comments - Share Yours! 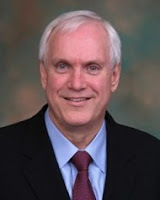 ARRA News Service -- Robert Bluey, Heritage Investigates:During his run for the presidency in 2008, Barack Obama praised the work requirements that were the centerpiece of welfare reform — the very requirements his administration just gutted. On July 12, Obama’s administration gutted the work requirements that were part of reforms to the Temporary Assistance for Needy Families (TANF) program in 1996. The welfare reform law became a signature accomplishment for President Bill Clinton and the Republican-led Congress. Now, a new directive from the Department of Health and Human Services (HHS) claims for the secretary the authority to waive TANF work requirements, the heart of the successful 1996 reforms. In the past, the lack of tough federal work requirements has allowed activities such as bed rest, smoking cessation and exercise to be counted as work. Ironically, Rev. Warren’s question to Obama in 2008 centered on a position Obama once held that he no longer supported. Obama picked welfare reform, explaining that as a state lawmaker in Illinois he was skeptical of Clinton’s action in 1996. Now, it seems, Obama has flip-flopped once again. WARREN: What’s the most significant position you held ten years ago that you no longer hold today, that you flipped on, you changed on, because you actually see it differently? OBAMA: Because I actually changed my mind. WARREN: You changed your mind. Exactly. OBAMA: Well, you know, I — I’m trying to think back ten years ago. I think that a good example would be the issue of welfare reform, where I always believed that welfare had to be changed. I was much more concerned ten years ago when President Clinton initially signed the bill that this could have disastrous results. I worked in the Illinois legislature to make sure that we were providing child care and health care, other support services for the women who were going to be kicked off the roles after a certain time. It had — it worked better than, I think, a lot of people anticipated. And, you know, one of the things that I am absolutely convinced of is that we have to work as a centerpiece of any social policy. OBAMA: Not only because — not only because ultimately people who work are going to get more income, but the intrinsic dignity of work, the sense of purpose. WARREN: We were made for work. OBAMA: We were made for work, and the sense that you are part of a community, because you’re making a contribution, no matter how small to the well-being of the country as a whole. I think that is something that Democrats generally, I think, have made a significant shift on. Apparently, however, Obama has not made that big of a shift. The Obama administration’s recent action amounts to the end of welfare reform as we know it, according to The Heritage Foundation’s Robert Rector and Kiki Bradley. The HHS action was also illegal, drawing the wrath of lawmakers who have introduced legislation that would prohibit the administration from enforcing its new policy. Tags: Barack Obama, Department of Health and Human Services, flip-flop, HHS, President Clinton, Rick Warren, Robert Rector, TANF, Temporary Assistance for Needy Families, welfare reform To share or post to your site, click on "Post Link". Please mention / link to America's Best Choice. Thanks! 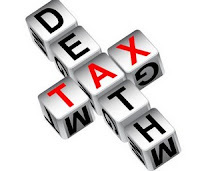 Phil Kerpen: There is no more vivid or offensive example of the “you didn’t build that” philosophy on the books than the federal death tax, which supposes that when you die a hefty portion of everything you built up over a lifetime ought to go to government. It’s a vestige of the feudal days when all property was owned by the king. That’s probably why the death tax is the “worst tax — that is, the least fair” according to polling by the Tax Foundation. And it’s also why our founders thought the idea of seizing an estate at death so outrageous that they prohibited it as a penalty for treason in the U.S. Constitution (Article III, Section 3). And yet now, seizing more than half of it as a penalty for accomplishing the American dream is the preferred policy of Democrats in the United States Senate. You’re born. You work hard. You pay your taxes all your life. Maybe, you build something along the way. But when you die the IRS can tax you again. This year, they can take 35 percent of everything above $5 million. Senate Democrats announced yesterday that as of January 1, they want to raise that up to 55 percent of everything above $1 million. And because the $1 million is not indexed to inflation, over time this confiscatory tax would hit almost everyone who achieves some success and wants to pass it on. That means family farms and businesses will be forced to shut down when the founder dies just to pay the tax bill. 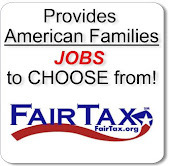 Former Congressional Budget Office director Douglas Holtz-Eakin estimates that the Democrats’ 55 percent death tax would destroy as many as 1.5 million small-business jobs, walloping an already weak economy. That’s the problem with taxing “the rich” — even after they die — the real pain is suffered by the people they employ, who lose their jobs. Unfortunately, rather than seize the moral high ground by advocating full repeal of the death tax, Senate Republicans have included a compromise position in their alternative tax package: they want to keep the tax at its current 35 percent rate. The study from Holtz-Eakin found that would destroy 857,000 jobs — which can only be described as “less bad” than the economic damage Democrats are proposing. Senate Republicans are compromising even though they know the right position is full repeal because they fear the political implications of advocating full repeal at a time when the media and left-wing agitators are even more obsessed than usual with class warfare and the politics of envy. This fear is not well founded. Polls have consistently shown very high levels of public support for repealing the tax, including among people who will never be directly affected, but understand the indirect economic consequences and the sheer immorality of seizing a large portion of estates at death as a penalty for success. So let the Democrats, the media, and the class-warfare demagogues do their worst. The American people know this tax is wrong. The House has an opportunity to lead by scheduling a vote on H.R. 1259, Rep. Kevin Brady’s (R-Texas) bill to permanently repeal the death tax, which now has a majority of the House signed on as cosponsors. An analysis by Palmer Schoening, who leads death tax repeal efforts for the influential 60 Plus Association, found that there are 33 current Democratic members of the House who have voted for repeal in the past, making a strong bipartisan vote possible. With Senate Democrats now actively trying to raise the death tax to 55 percent and Senate Republicans just trying to keep it where it is, it’s more important than ever that the House redouble its efforts to finally repeal this most hated tax. Tags: Phil Kerpen, American Commitment, Senate, democrats, Death Tax To share or post to your site, click on "Post Link". Please mention / link to America's Best Choice. Thanks! 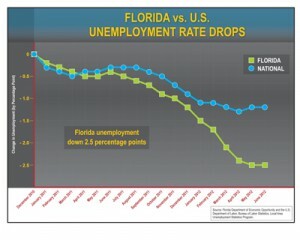 Tags: Florida, New Jobs, Unemployment, June 2012, To share or post to your site, click on "Post Link". Please mention / link to America's Best Choice. Thanks! Posted by Bill Smith : Post Link --> 1:26 PM 0 Comments - Share Yours! Rep Allen West – Releases Second Campaign Video “Opportunity”. 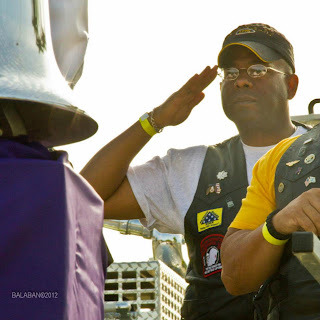 Tags: Allen West, Representative, Florida, US Congress, election 2012, campaign ad, opportunity To share or post to your site, click on "Post Link". Please mention / link to America's Best Choice. Thanks! Posted by Bill Smith : Post Link --> 12:09 PM 0 Comments - Share Yours! 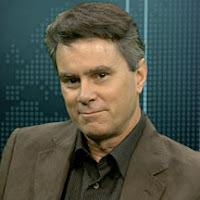 Tags: Bill Whittle, Afterburner, PJ Media, PJTV, David Axelrod, Harry Reid, Nancy Pelosi, Tim Gethner, Barack Obama, Eric Holder, black Panter, fast and Furious, Chicago Politics, Saul Alinski, Russia To share or post to your site, click on "Post Link". Please mention / link to America's Best Choice. Thanks! Tags: Florida, Rick Scott, voter registrations, To share or post to your site, click on "Post Link". Please mention / link to America's Best Choice. Thanks! Posted by Bill Smith : Post Link --> 12:12 PM 0 Comments - Share Yours! 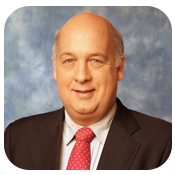 Kerpen: We Won’t Be Silenced! by Phil Kerpen: In a ridiculous editorial today, the Tampa Bay Times asserted that American Commitment’s free speech right to criticize Senator Bill Nelson’s record is somehow dependent on the Supreme Court’s Citizens United decision. That is false. As the Supreme Court made clear in 1976’s Buckley v. Valeo, issue advertising is not subject to campaign finance restrictions. Unfortunately, dubious pronouncements made authoritatively have become a habit for the Tampa Bay Times. For instance, it is a simple, undeniable fact that the health care law passed with exactly 60 votes for cloture, the minimum required. Thus every vote was decisive, and had a single Senate Democrat, such as Bill Nelson, voted “no” it could not have passed. Anyone who would allege, as the Tampa Bay Times has, that any of the 60 was not the deciding vote is a partisan apologist, not a fact checker. The Wall Street Journal is the number one paper in the country, highly respected especially for its analysis of political economy. The Tampa Bay Times is free to disagree with its analysis, but there should be no burning pants involved in such a discussion. Additionally, the Tampa Bay Times insists that the enormous Medicare cuts in the president’s health care law are not cuts, because even though they reduce spending by hundreds of billions of dollars below the expected, or “baseline,” level for Medicare, they still allow Medicare spending to be higher in the future than it has been in the past – little solace for the bulge of retiring baby boomers entering the program. Perhaps the worst error made by the Tampa Bay Times, however, is the claim that our right to protect the privacy of our members depends on a recent Supreme Court case. In fact, the relevant Supreme Court decision that confirmed our constitutional right to protect the privacy of our supporters was not Citizens United but the landmark 1958 case NAACP v. Alabama, which found that membership organizations have a right to protect the anonymity of our supporters because forced disclosure would risk retribution that could chill their free speech rights. Given the willingness of some in the media to coordinate with outside pressure groups to intimidate and silence critics of the Obama administration, such protection is more vital than ever. 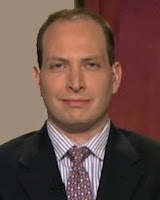 Phil Kerpen. He is the president of American Commitment where he first shared this article; a columnist on Fox News Opinion, and the author of Democracy Denied: How Obama is Bypassing Congress to Radically Transform America – and How to Stop Him. Tags: Phil Kerpen,Tampa Tampa Bay Times, Florida, Bill Nelson, healthcare, taxes, spending, Medicare, PPACA, Obamacare To share or post to your site, click on "Post Link". Please mention / link to America's Best Choice. Thanks! The numbers were flipped back in April when Nelson held a 47% to 36% lead over Mack. At that time, Mack still had heavy competition for the GOP nomination and was being heavily criticized for a lackluster campaign. The contest was closer in earlier surveys. This race is now considered Leans Republican in the Rasmussen Reports Senate Balance of Power. . . .
Mack is expected to easily win the Republican primary on August 14. Nelson was elected to the Senate in 2000 to fill the seat vacated by Mack’s father. Florida, with its large number of retirees, has consistently registered high opposition to President Obama’s national health care law and was one of the leaders in the recent unsuccessful constitutional challenge of the law before the U.S. Supreme Court. Fifty-two percent (52%) of Florida voters favor repeal of the health care law, while 36% oppose repeal. These findings include 44% who Strongly Support the law’s repeal and 29% who are Strongly Opposed. These findings are similar to those measured nationally. Tags: Rasmussen Reports, polling, Florida, U.S Senate, Bill Nelson, Connie Mack, To share or post to your site, click on "Post Link". Please mention / link to America's Best Choice. Thanks! Posted by Bill Smith : Post Link --> 10:50 AM 0 Comments - Share Yours! 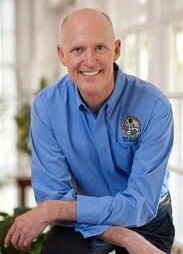 On June 1, 2011, Gov Rick Scott signed into law Florida legislation requiring adults applying for welfare assistance to undergo drug screening. Under the law, which became effective on July 1, 2011, the Florida Department of Children and Family Services is conducting drug tests on adults applying to the federal Temporary Assistance for Needy Families program. The aid recipients would be responsible for the cost of the screening, which they would recoup in their assistance if they qualify. Those who fail the required drug testing may designate another individual to receive the benefits on behalf of their children. 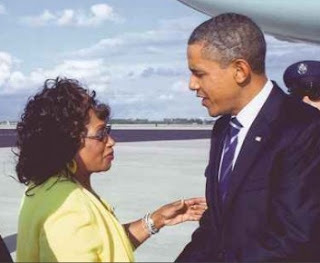 Liberal progressive U.S. Representative Corrine Brown (D, FL-3) said the tests "represent an extreme and illegal invasion of personal privacy." Rather odd considering those who work and pay the taxes for these programs are subject to drug tests by employers. But Brown is not one to let logic or facts slow her down. Other states have now passed their version of the Florida Law. In October, 2011, the Florida law was temporarily blocked by a federal judge. Then on Nov 9, 2011, Governor Scott filed an appeal, stating, "The court erred in rejecting the State’s arguments,” he said, “and was unjustified in blocking the will of the People’s elected representatives. An overwhelming majority of Floridians support this law, and I will continue to fight for it in the courts." Since then, progressives continue to argue that the testing costs more money than it saves. First, how do they measure the costs? Also, once a person is drug addicted adult is also addicted to taking welfare, they are not going to seek employment or to get off either drugs or welfare welfare without intervention. What about the children who are at great risk both physically and emotionally because their parent's or guardian is addicted to drugs. Note, under that law that Florida passed, the children could still receive welfare but under another person - not the drug addicted parent or guardian. This other person could manage the funds for the benefits of the children while the drug taking parent or guardians either seeks help or continues to use drugs and eventually spirals into worse situations. Also, child services then knows which children are placed at risk, where they are located, and they can monitor and intervene to protect the children. Great going, Florida You set the stage for the other States to join! Kudos to Republican Governor Rick Scott for having the correctness and guts to move forward on this critical issue! In signing the new law, Republican Gov. Rick Scott is saying, "If Floridians want welfare, they better make sure they are drug-free." Applicants who test positive for illicit substances won't be eligible for the funds for a year, or until they undergo treatment. Those who fail a second time would be banned from receiving funds for three years! Naturally, a few people are crying this is unconstitutional. How is this unconstitutional? It's completely legal that every other working people have to pass drug tests in order to get a J-O-B which supports those on welfare! The reader providing the above added the comment, "I AGREE!!!! 100%." And so does America's Best Choice. Other states have already followed in Florida's lead. We hope that judicial activism will be over-ruled and Florida will be able to carry out the will of the majority of Floridians represented by the legislation and votes of their elected members of the Florida legislature. Also, this logical process provides both potential intervention assistance for children and tough love for drug doping parents or guardians who are filing for welfare not for the benefit of their child or children but to gain access to more benefits which will aid them in their drug habits. Do the liberal progressives even care about the children? Appears very questionable. Tags: Florida, welfare, drug testing, Corrine Brown, the majority of Floridians, readers opinion, protecting children To share or post to your site, click on "Post Link". Please mention / link to America's Best Choice. Thanks! Posted by Bill Smith : Post Link --> 9:40 PM 1 Comments - Share Yours! 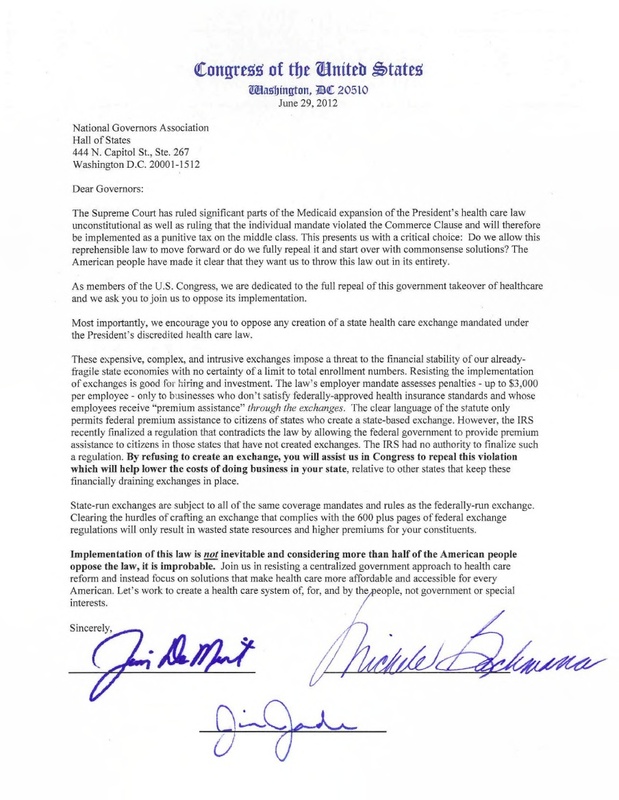 Sign the Petition: Asking Bill Nelson: Repeal the health care law! Tags: Florida, Bill Nelson, healthcare, taxes, spending, Medicare, PPACA, Obamacare To share or post to your site, click on "Post Link". Please mention / link to America's Best Choice. Thanks! Posted by Bill Smith : Post Link --> 7:30 PM 1 Comments - Share Yours! The Best of America - There was a Time! It wasn't too long ago that the quiet heroes of this land walked tall with the pride of knowing that they lived in a country unlike no other. On this Independence Day, we celebrate that sense of American optimism and recommit ourselves to bringing that feeling back to us once again. Tags: Mitt Romney, There Was A Time, 2012, election 2012, Mitt 2012, Believe in America To share or post to your site, click on "Post Link". From the ARRA News Service. Posted by Bill Smith : Post Link --> 12:15 PM 0 Comments - Share Yours! 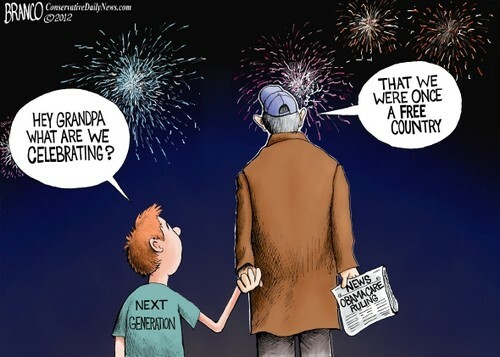 Tags: July 4th, celebration, next generation, grandpa, why we are celebrating, AF Branco, political cartoon To share or post to your site, click on "Post Link". Please mention / link to America's Best Choice. Thanks! Posted by Bill Smith : Post Link --> 8:00 AM 1 Comments - Share Yours! By Jim Meyers and Kathleen Walter, NewsMax: Florida Gov. 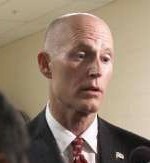 Rick Scott tells Newsmax he will staunchly resist efforts by the federal government and the Obama administration to halt his efforts to purge ineligible voters from the rolls in his state. Scott also offers this prediction for Florida in the November election: ". . . I think this election is going to be about jobs, the candidate that has the best jobs plan. President Obama has had his four years to get our economy going. Our economy has not improved under his term. "We’re doing the right things in Florida. We’ve reduced taxes. We’ve reduced regulation. We’ve streamlined the permitting process. We’re bucking the national trend. Our unemployment rate has dropped faster than almost any other state. But we need a federal partner that’s going to do the right thing. Tags: NewsMax, Florida, Governor, Rick Scott, Vote, elections, 2012 elections, fair elections, honest elections To share or post to your site, click on "Post Link". Please mention / link to America's Best Choice. Thanks! Posted by Bill Smith : Post Link --> 4:57 PM 0 Comments - Share Yours! 8th Annual Firefighters Memorial Motorcycle Ride. U.S. Manufacturing Shrinks for First Time in 2 Years: U.S. manufacturing shrank in June for the first time in nearly two years, another troubling sign for the economy, which is still faltering under the failed policies of President Obama. The Institute for Supply Management, a trade group of purchasing managers, reported that its index of manufacturing activity fell to 49.7. That's down from 53.5 in May and the lowest reading since July 2009. While the President often touts the recent growth of manufacturing jobs, the economy has actually shed 599,000 manufacturing jobs since the month President Obama took office and this news shows the sector could be in more trouble. Federal Deficit Totals $844.5 Billion Through 8 Months of FY 2012: According to the Department of Treasury, the U.S. has racked up $844.5 billion in deficits through the first eight months (October 2011 – May 2012) of fiscal year 2012, keeping the nation well on track to hit a $1 trillion deficit for the fourth consecutive year. Prior to President Obama taking office, the highest U.S. deficit ever was $458 billion. President’s Healthcare Law = Reduced Access for Medicare Beneficiaries, Higher Costs for Everyone Else: A May 2012 memo from the Centers for Medicare & Medicaid Service (CMS) Office of the Actuary discussed the projected payment rates for physician services, currently scheduled to be reduced by 31 percent in 2013 under President Obama’s federal takeover of healthcare law. Updating their original projections from 2010, the memo stated that the fiscal effects of the law would result in negative margins (i.e. unprofitability, or losing money) for a significant percentage of hospitals, skilled nursing facilities, and home health agencies. In other words, providers will stop serving Medicare patients, or increase costs for everyone else. Tags: Representative, Allen West, US House, President's Policies, failing To share or post to your site, click on "Post Link". Please mention / link to America's Best Choice. Thanks! Posted by Bill Smith : Post Link --> 12:30 PM 0 Comments - Share Yours! 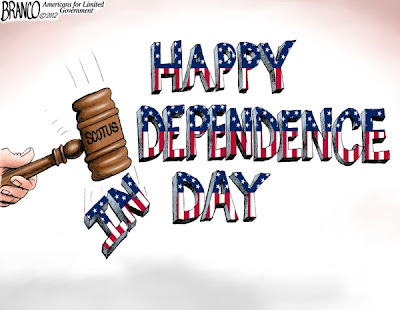 Tags: SCOTUS, independence day, dependence day, Tony Branco, political cartoon To share or post to your site, click on "Post Link". Please mention / link to America's Best Choice. Thanks! Scott stated recently that Florida will not expand Medicaid to include more recipients nor set up healthcare insurance exchanges in the state. He explains: “First off, if you look at a government program [elsewhere] in the world, it promises it’s going to cover everything, then immediately runs out of money and starts rationing care by underpaying providers, hospitals, doctors, and so then you don’t have access to care. 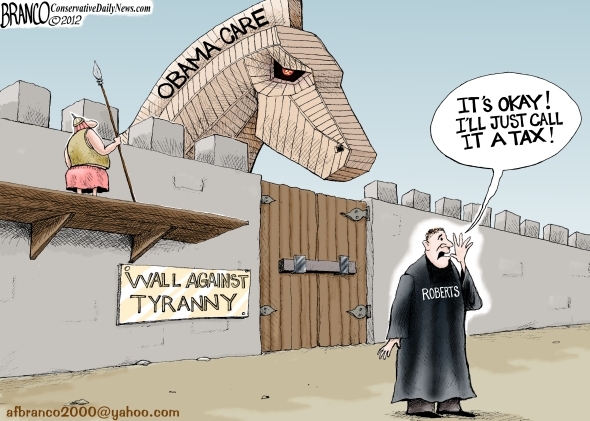 That’s exactly what Obamacare will do. “This Medicaid expansion – we’re not going to implement that because what it’s going to actually do is reduce jobs in our state. It’s going to cost our taxpayers significant amounts of money. The Medicaid expansion in our state will cost 1.9 billion dollars. “They know that we don’t want a federal program that’s going to ration care. We don’t want a federal program that’s going to raise our taxes to levels that we would not be able to afford. We don’t want a federal program that’s going to kill jobs. Obamacare is scheduled to be fully implemented in 2014, meaning this year’s election is the last chance to repeal it before it takes effect. “President Obama is committed to implementing this law,” Scott says. “I’m going to use my best efforts to make sure it gets repealed. The most important thing we have to do is look at these elections and understand that elections have consequences. The election this fall is going to be about jobs and it’s going to be about repealing Obamacare. If we care about jobs, we have to repeal Obamacare. Tags: Florida, Governor, Scott Walker, Obamacare To share or post to your site, click on "Post Link". Please mention / link to America's Best Choice. Thanks! Posted by Bill Smith : Post Link --> 9:50 PM 0 Comments - Share Yours! 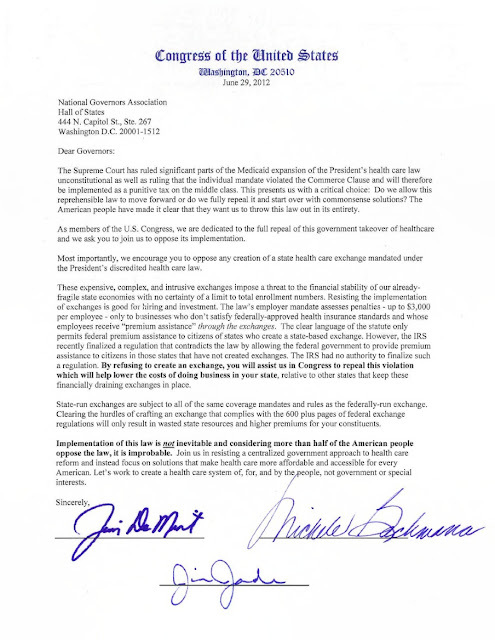 by Phil Kerpen, ARRA News Service: On Friday, 73 House and Senate conservatives sent a very important letter to the National Governors Association, urging the states not to adopt state health care exchanges. These exchanges (which are completely optional for the states) are the centerpiece of Obama’s new entitlement that provides vast taxpayer-funded subsidies up to 400 percent of the poverty level. They are also the mechanism for imposing a $3000 per employee tax on employers who cannot afford to offer health coverage. Tags: States, ObamaCare, Health Care, conservative, Senators, Representatives, Letter, governors, End Regulatory Tyranny, Reform Health Care To share or post to your site, click on "Post Link". Please mention / link to America's Best Choice. Thanks! Posted by Bill Smith : Post Link --> 4:10 PM 0 Comments - Share Yours! Two Great Cartoonists. One warned us Two Years Ago! The second Now reveals the problem is at the door. 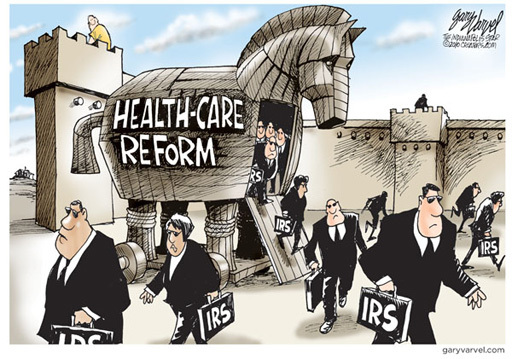 Tags: ObamaCare, Trojan Horse, It's a tax, IRS agents, hidden enemies, political cartoons, Gary Varvel, AF Branco To share or post to your site, click on "Post Link". Please mention / link to America's Best Choice. Thanks!